Home > ChulaGoonasekera > feature > Health > Social > Intensivists: Why do we need them now? Sadly, we do not have such specialists in Sri Lanka. Yet, it is very important that we do. This is because we do not have an unlimited capacity to provide intensive care to all who need them. (June 30, Kandy, Sri Lanka Guardian) Intensivists are highly trained specialist doctors, who are consultants in Critical-Care Medicine and work in intensive care units full-time. Most medical research during the last 2 decades have demonstrated that intensivists’ contribution is paramount for the intensive care service to have improved patient outcomes, especially in the context of survival rates, reduced duration of stay in the intensive care unit and hospital and the reduced number of complications. In simple terms, they can make intensive care extremely cost-effective. Sadly, we do not have such specialists in Sri Lanka. Yet, it is very important that we do. This is because we do not have an unlimited capacity to provide intensive care to all who need them. For example, it is recommended that 15% of bed capacity in a hospital should be allocated for intensive care, but in Sri Lanka this number barely reaches 1%. This will give you an estimated understanding of how lucky one should be to be admitted to an intensive care unit when the need arises in Sri Lanka. The Society of Critical Care Medicine, USA, formulated in 1970, is the oldest established multi-professional society for practitioners working in the ICU, including intensivists. They recommend that, today, all ICU patients be managed or co-managed by dedicated intensivists who are exclusively responsible for patients in the ICU. Patient management in intensive-care differs significantly among countries. In Australia, where Intensive Care Medicine is a well-established specialty, ICUs are described as 'closed'. In a closed unit the intensive-care specialist takes on the senior role where the patient's primary doctor now acts as a consultant. The advantage of this system is a more coordinated management of the patient based on a team that works exclusively in the ICU. Other countries have ‘open’ Intensive Care Units, like ours, where the primary doctor chooses to admit and, in general, makes the management decisions. There is increasingly strong evidence that 'closed' Intensive-Care Units staffed by Intensivists provide better outcomes to patients. The ICU's roots can be traced back to the Monitoring Unit of critical patients through nurse Florence Nightingale. The Crimean War began in 1853 when Britain, France, and Turkey declared war on Russia. Because of the lack of critical care and the high rate of infection, there was a high mortality rate of hospitalized soldiers, reaching as high as 40% of the deaths recorded during the war. Nightingale and 38 other volunteers had to leave for the Fields of Scurati, and took their "critical care protocol" with them. Upon arriving, and practicing, the mortality rate fell to 2%. Nightingale's work, paved the way for intensive care medicine to be established. A training program for an intensivist, starting after qualification from medical school is expected to last 6-8 years. If Sri Lanka embarks on this program now, we could hope for a better chance for survival in intensive care in the year 2016. 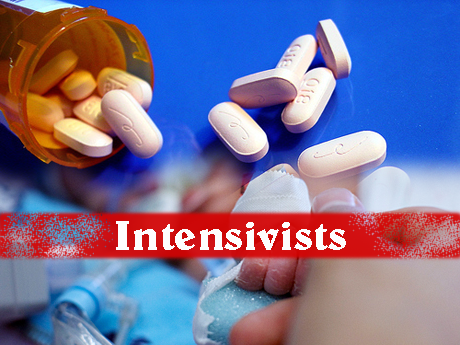 Intensivists reduce cost and help more patients to survive. Hon Minister of Health, isn't it time we embarked on this training without delay? We do need a ‘Nightingale’ now to make this change.